Now the family has four new members – Thin, Light, Book, and Regular – added by Fontfabric Type Foundry. The new weights stay true to the style and grace of Bebas with the familiar clean lines, elegant shapes, a blend of technical straightforwardness and simple warmth which make it uniformly proper for web, print, commerce and art. Originally designed by Ryoichi Tsunekawa, Flat-It Type Foundry. Be sure to check out the newest offering in the Bebas family Bebas Neue Pro. 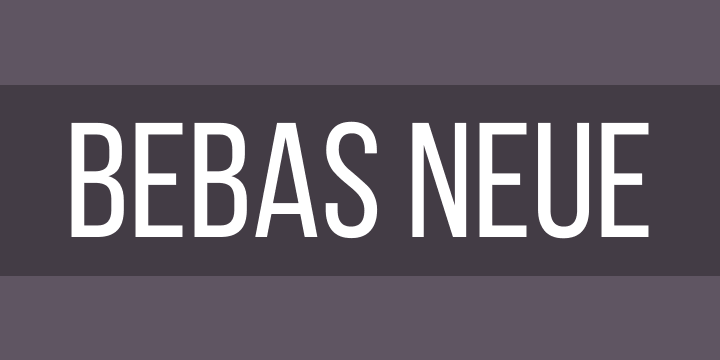 Bebas Neue Pro expandon on the font family with lower case characters and other features.